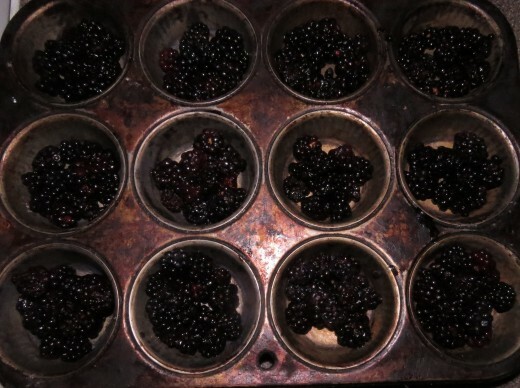 These mini blackberry cobblersoriginated from an old family cobbler recipe. 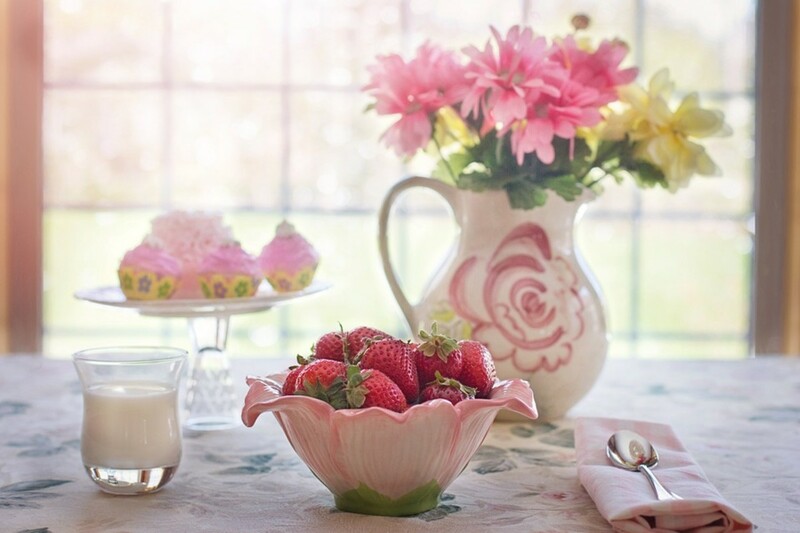 It's a less-sugary alternative, using the berries' natural sweetness instead of added sweetener. They make a fantastic breakfast or sweet snack! In my family it's usually served hot, with milk or cream poured over the top. Or if you're feeling particularly decadent, try a scoop of vanilla ice cream. 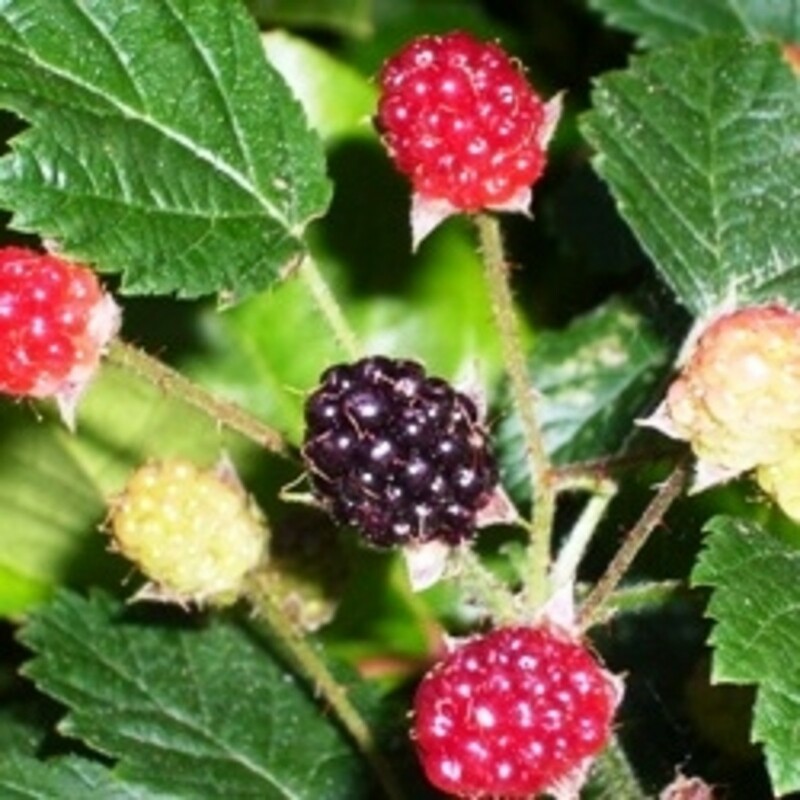 Want to pick wild blackberries to make it with? Here's a handy guide. 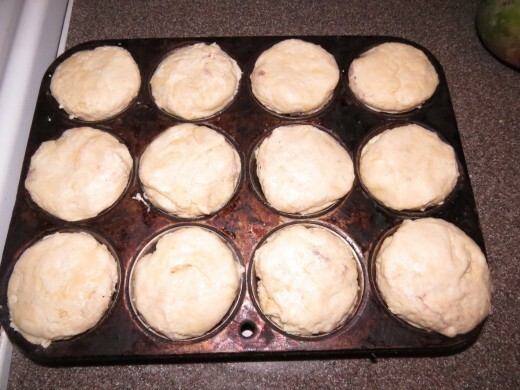 You will need a 12-cup muffin tray. 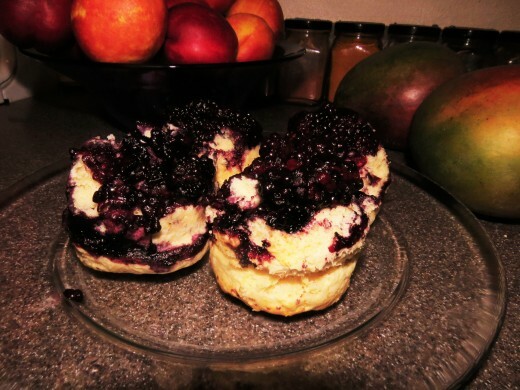 With 2 cups of blackberries, spread the berries evenly to cover the bottom of each muffin cup. Preheat oven to 425. Next, mix up the biscuit batter by combining baking powder, flour, and salt, then mixing in the oil and milk. Stir well until fully combined. 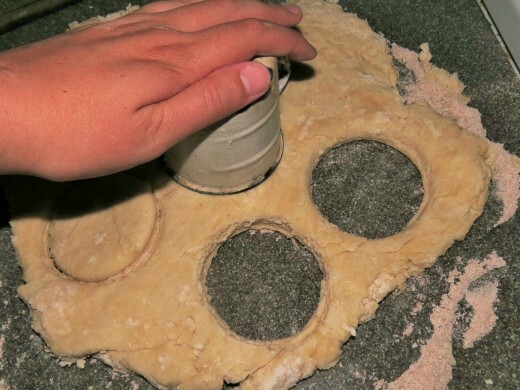 Roll out the biscuit dough on a floured counter top, and, using a biscuit cutter or the top of a drinking glass, cut it into 12 round biscuits. 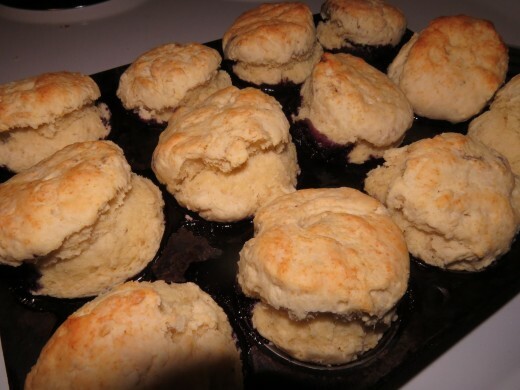 Press each biscuit on top of the berries in the muffin tin. Put in just enough berries to cover the bottom of each muffin cup. I found 2 cups of berries did the trick with mine. You don't want to overfill them, or they make leak juice when they bake. 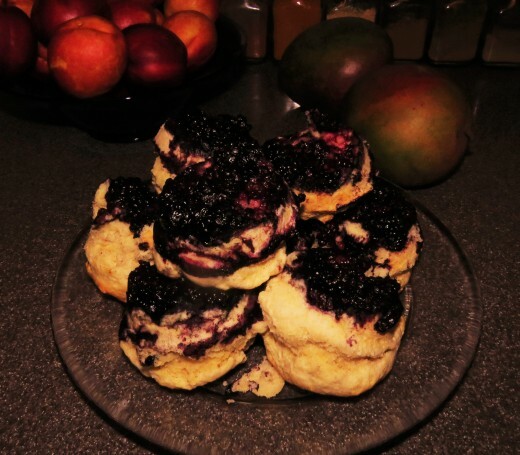 Press each biscuit down on top of the berries. Do this fairly firmly, so the dough fills in the gaps between the fruit -- it'll hold together better when you take it out of the pan that way. Bake at 425F for 12 to 15 minutes, or until the biscuits fluff up and go a lovely golden brown on top. Remove from oven, allow to cool for a few minutes, and take them out of the pan, setting them berry-side up on a serving plate. 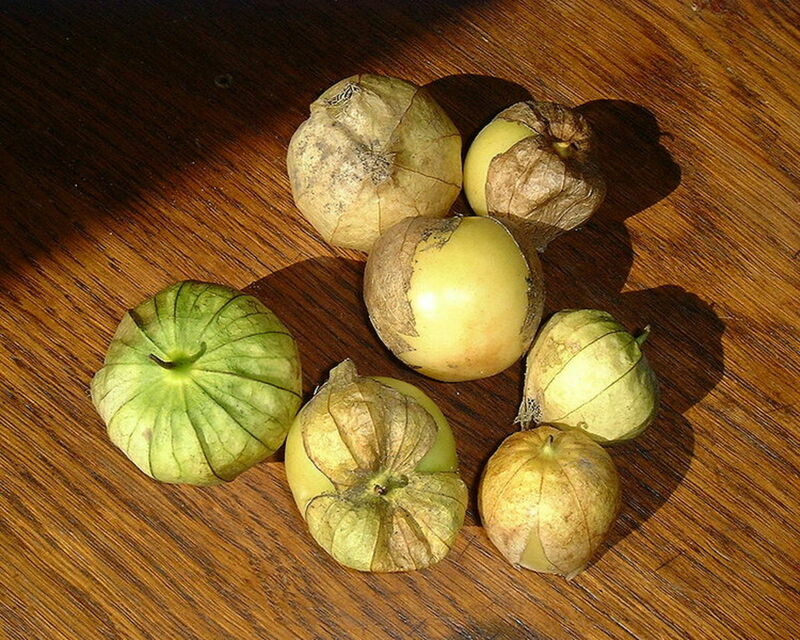 Can be eaten hot or cold. 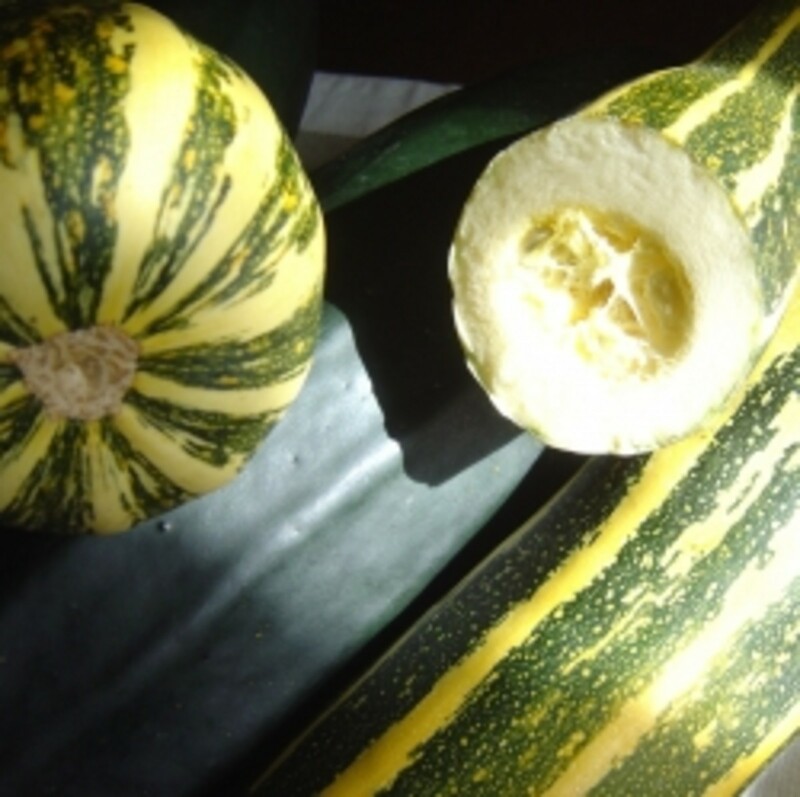 I like them for breakfast, with milk or cream poured over the top, or you can serve as dessert with a small scoop of vanilla ice cream. Do you cook with blackberries often? Every time I can get my hands on them! You had me at "blackberry"! This recipe grabbed my attention and I'm ready to give it a try. Your photos are just great. Voted up, useful, awesome, interesting and will share. Yum! They sound delicious. I will definitely be giving these a try. It looks so easy too, to put the berries on the bottom.